Your car features a hydraulic braking system to help you stop your car. The brake pedal, which you step on to start the braking process, is attached to a piston within the brake caliper. It will create a great force, which will generate pressure in the brake lines. The brake line action will cause the rotors attached to compress the brake pads, causing enough friction to stop your wheels and bring your car to a halt. Brake fluid plays a key role in addressing the resultant increased heat levels from the process, which turns your vehicle’s kinetic energy into heat energy. There are two general types of brake fluids, which may be silicon-based or glycol-based. Dot3 and Dot4 are popular glycol-based brake fluid options available for many vehicles. While Dot3 is popular with regular drivers, Dot4 is more common with racing vehicles and aggressive driving. Dot3 vs Dot4, Which one is the better brake fluid? Brake fluid is crucial to keeping your system functioning for a longer period of time. It will keep the components lubricated, which will ensure a prompt response every time you step on the brake pedal. A great fluid will comfortably compress the rotors when slowing down your vehicle, which acts to reduce the braking response speed and distance. Both Dot3 and Dot4 brake fluids are commonly used for cars. This Dot3 vs Dot4 review section will help you explore the better fluid for your braking system. Dot3 is the more popular of the two variant brake fluids, but Dot4 is quickly becoming popular because it is compatible with standard traction control and anti-lock braking system. While this aggressive braking action is not usually required by the average driver, it could help improve traction control immensely for your vehicle. What is the difference between Dot3, Dot4 and Dot5 brake fluids? 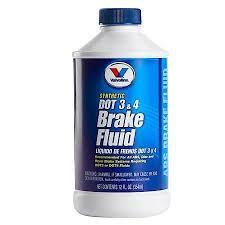 Dot4 and Dot3 brake fluids are glycol-based products that are used in your braking system. they are hygroscopic and will absorb water from the atmosphere, which means that proper care should be taken during storage, as well as a regular replacement for any potentially contaminated fluids. They are very volatile solvents for paint and will eat away your car’s finish. They may also be highly reactive with other compounds in your car and should be stored securely. Dot5 is silicone-based brake fluid. It does not absorb water from the air and is completely hydrophobic. It will retain its integrity and function well. It also has a higher boiling point than Dot3 and Dot4 brake fluids, which makes it more compatible with excessively aggressive driving. However, it is not compatible with Dot3 or Dot4 fluids and should never be mixed. You also need to refer to your manufacturer’s recommendations to know whether your braking system is compatible with Dot5 braking fluid. Dot3 has a lower boiling point, which means it is more likely to assimilate water. This will result in even lower boiling temperatures, which could cause inefficient braking and damage the braking components over a long time. Dot4 has a higher boiling point and a lower water absorption rate, which makes it better for your engine in the long term. 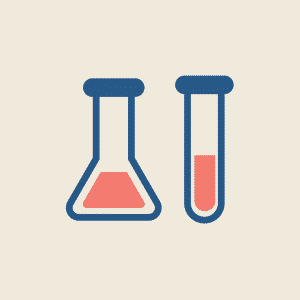 The chemical structure of Dot3 and Dot4 braking fluids will also vary. Dot4 is more tailored for water resistance, which makes it ideal for generally wet conditions. It also fares relatively well in hot temperatures. The glycol and borate combination will not corrode your braking components. Dot3 is made up of a polyalkene glycol and ether blend. It will hold well in hot and dry, or wet weather conditions. It is more suited for regular driving than Dot4 braking fluid. The boiling capacity of your brake fluid is its ability to function well in a medium. Dot3 is not as sensitive to water and in the open air. However, Dot4, which has a low boiling capacity with water, will not offer ideal performance. How to tell the best brake fluid for your car? Always check your repair manual for your car to find out which brake fluid that is best suited for your car. You have Dot3, Dot4, Dot5 and Dot5.1 brake fluid to choose from. So how will you know which brake fluid is suitable for your engine? The brake fluid’s boiling point refers to the point at which it will vaporize, which may make some difference in aggressive performance and hot weather conditions. The boiling point of the braking fluid increased from Dot3 upwards, which makes it less suitable for heavy-duty braking such as racing. However, Dot3 will still provide sufficient service for regular driving. Understanding your brake fluid options could help you avoid brake fade. Fluids with a lower boiling point will be more likely to turn into gas quicker, affecting the functioning of the braking system. Your ideal fluid should have a sufficient boiling point to cope with potential heat spikes. However, this is only for new oil off the can. Your ideal braking fluid should also have a great wet boiling point. This will be determined by contaminating the fluid with about 3.7% water, mimicking the real world contamination situations that many people will likely face. Great brake fluid should have a high wet boiling point to help guarantee performance even in extreme conditions. If you are a standard driver with a relatively straightforward schedule, Dot3 braking fluid may be better suited for you. Dot4 would be ideal for drivers who are involved with aggressive driving. Remember to keep your braking fluid off your car body because it eats paint and will corrode any part it comes in contact with. Braking fluid will also react badly with other compounds and must be kept away from other car fluids. It should also be kept in a tightly sealed container as it could react with the water in the air. For this reason, you should not use any brake fluid from an open container. You should also keep your brake fluid containers away from children. What does the ABS light mean?